Last week we had 127 wonderful blogs link up! Thank you for sharing the blog hop and hopping by each week. You have all made this a wonderful place to make new blogger friends. 1. Make sure you are following your host and co-hosts. 2. Place the badge somewhere on your blog. 3. Link up your main blog page. 6. One more rule: Have Fun! Thank you for stopping by and joining our community. I always appreciate a new person at our virtual get-together. I stopped by your blog and returned the favor. You have such a lovely family and story. Thanks for co-hosting! I'm your newest GFC follower and hope you'll return the favor! Thank you for commenting and becoming a member of this community. I am always grateful for a new member. I stopped by your blog and returned the favor. Although I think it was you that did me a favor. Your cookie swap is very yummy-looking. Well hello! I'm the first comment, how about that! Per the blog hop rules, I'm following you... :-) Your blog is an interesting idea-I look forward to reading about your quest (though when I saw the name my first thought was the Bruce Springsteen song, hee hee). Hi. I'm so glad that you're following because of the blog hop rules. I hope you will return because there is something here for you. That is always my goal. I appreciate you stopping by. I stopped by your blog and returned the favor. The Bruce Springsteen comment is great. I never thought of it until you mentioned it. At least it's a good song. Hi. Thank you for becoming a member and letting me know. I stopped by your blog and returned the favor. What a lovely blog you have. Already following, hope you're having a lovely week! Thank you for stopping by again and commenting. I always appreciate people who come back and leave comments. Have a great week. Thank you for becoming a member of our community and hopping with us. I returned the favor and got a delicious cookie recipe. I'd say that's a great trade. I'm a new follower from the hop! looking forward to reading more of your posts!!! I stopped by your blog yesterday. Very lovely blog you have. I am a new follower of yours. I appreciate you becoming a member of our community and hope you find something here. new follower from the hop. Always happy to find a new, great mommy blog! Hope you will come over and follow back! Thank you for joining us in our blog hop. It's always good to see new faces. I am already a follower of yours. I'm your newest follower from the hop! I'd love for you to check out my blog and follow back! 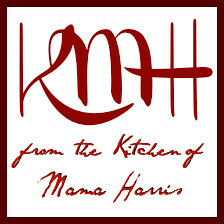 Thank you for commenting and joining my blog and our blog hop. I stopped by your blog and returned the favor. Thanks for the luagh. New follower from the hop here. I hope you get a moment to check out my blog. Thank you for stopping by and commenting. I'm glad you are now a member of our community. I stopped by your blog and returned the favor. Hey there, joining up for the first time today! I awarded you a Liebster award over at my blog... www.onepartjoyonepartcircus.com... You are fabulous! 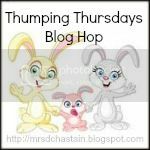 I'm a new followe from Thumping Thursday bloghop. I stopped by your blog and returned the favor of following you back. Thank you for joining our blog hop and our community. I look forward to having you back. Thank you for stopping by and commenting on becoming a member of our community. I look forward to seeing you back.